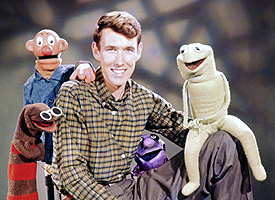 Tomorrow, the University of Maryland will pay tribute to beloved alum Jim Henson, who would have turned 70 on Sunday. In a nod to his "Creativity and Other Inspirational Stuff," the university will unveil an exhibition and new film collection, stage a theater performance -- and host a panel with Jane Henson, the puppeteer's widow. The highlights: "Jim Henson: Performing Artist," a long-term exhibit looking at Henson's career through photography, essays, videos and displays of his Muppets (including Scred, who was used in a regular skit in the very first season of "Saturday Night Live"), opens at the Clarice Smith Performing Arts Center's Michelle Smith Performing Arts Library. 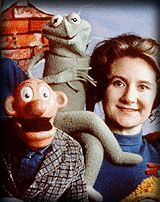 While at the library (or at any other library on campus, for that matter), you can also check out the brand new Jim Henson Film and Television Collection. Free. 9 a.m. Through June 2007. At 3 p.m. in the arts center's Gildenhorn Recital Hall, Jane Henson's the guest speaker in the free panel discussion "Jane and Friends: The College Park Legacy." Henson, who met her husband on the U-Md. campus, will offer the first screening of the new video "The Story of Sam and Friends" and talk about Jim Henson's local roots and legacy. Other panelists include Edward Longley, who taught the U-Md. puppetry class where the couple met, and Bobby Payne, who helped build and performed in "The Dark Crystal." Free. Finally, puppeteers Blair Thomas & Company (Thomas has taught at the distinguished School of the Art Institute of Chicago) perform "The Ox-Herder's Tale," a drama about seeking spirituality in a consumer culture, with a stilt-walker, clowns and masked puppeteers. Afterward, stick around for a talk with the artists. $30; students $7. 8 p.m. tonight and tomorrow. Kay Theatre, Clarice Smith Performing Arts Center. University Boulevard and Stadium Drive, University of Maryland, College Park. 301-405-2787 or www.claricesmithcenter.umd.edu.